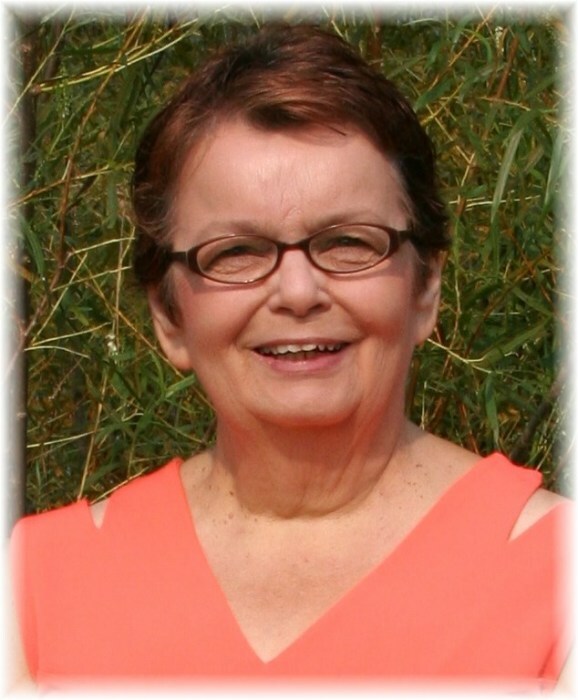 Karen Vangstad, age 67 of Osakis passed into her new life from her home on Monday morning, April 15, 2019 surrounded by her family. Karen Ann Rende was born on July 11, 1951 in Browns Valley, MN to Oscar and Dorothy (Kruger) Rende. She graduated from Wheaton High School with the Class of 1969. After attending Willmar Technical College, Karen met the love of her life, Bob Vangstad, who was also attending Willmar Tech, and on August 14, 1970 they were married in Alexandria, MN. They made their home in Osakis and raised their children. Karen worked at the local Food N Fuel convenience store and later became the manager of the Hot Stuff Pizza and Deli at the Osakis Gas Mart. Once retired, Karen volunteered her time as assistant cook for St. Agnes Parochial School and enjoyed the children and staff there immensely. She soon became an extra volunteer in their Preschool program and also served her parish by teaching weekly religious education classes. Karen was a faithful member of Immaculate Conception parish over the years. Besides staying busying keeping her home spotless (as she was well known to be a fantastic house cleaner,) Karen liked to work around her yard and in her flower beds. She loved to take in local sporting events and was an especially proud fan while her own children where in school. Karen also liked to make quilts and kept very busy looking after her step dog, Benji who belonged to her son, Jason. She was a caring and devoted wife and mother who will leave a huge hole in the hearts of those whose lives she touched. Blessed be her memory. She is survived by her husband, Bob Vangstad of Osakis; children, Jason Vangstad of Osakis and Marcy Vangstad of St. Cloud; siblings, Keith (Julie) Rende of Willmar, Kathy (Greg) Guetter of Wabasso, Zinda Rende of Wheaton and Kevin Rende of San Angelo, Texas; many nieces and nephews. Preceeding her in death are her parents, Oscar and Dorothy Rende, a son, Chad Vangstad and a daughter, Melissa Aune; a brother, Dennis Rende and a sister, Anita Geske. Funeral services were held on Holy Thursday, April 18, 2019 at 11:00 am at the Immaculate Conception Catholic Church in Osakis with Fr. David Petron officiating. Readers are Diane Trisko and Keith Rende. Giftbearers are Chris Guetter, Teresa Gould and Jon Geske and Eucharistic Minister is Derek Maffei. Interment will be in West Evergreen Cemetery in Osakis with the urn bearer being her sister, Zinda Rende.